Today in Tokyo, Japanese game maker Nippon Ichi Software revealed a trio of new games. 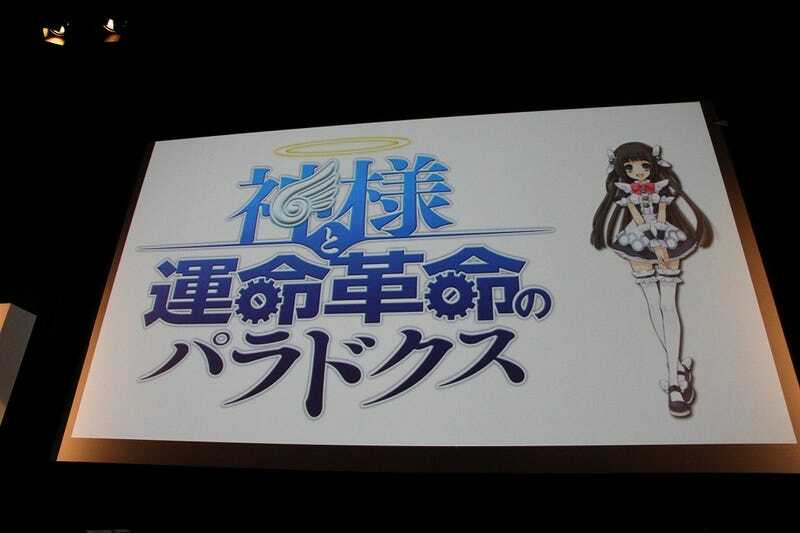 One of the revealed titles was Kamisama to Unmei Kakumei no Paradokusu (The Paradox of God and the Fate Revolution). The game features character designs by Noizi Ito (of Haruhi Suzumiya fame), and follows a high schooler who suddenly turns into God and the seven angels as they make people's wishes come true. The game is being handled by the Disgaea team. No platform was given. The other two titles were Project: Arcadia. Little info was given about the game, save for the following catchphrases: "A princess! ", "Side scrolling! ", and "An exhilarating feeling!" The "A" in "Arcadia" was highlighted in red. The other game was Project: D, which is aiming at both old Nippon Ichi Fans and new ones. Like Project: Arcadia, this is a temp title, and it's certainly possible that the "D" could stand for Disgaea, Nippon Ichi's long standing series of tactical role-playing games. Release dates and platforms for both projects is currently unknown.